Let’s break down what we’re seeing here. The date range selector will be a hard one, but let’s get this party started! 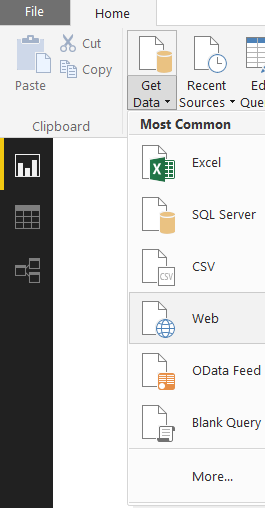 With anything Power BI, the first step is getting the data. Opening these in a browser, downloads a csv file. However, we want to be able to open the data in the fancy R way with the variables in the URL. This also enables us to easily adjust the time period in the future. Pressing “OK” gives us the following dialog box. The “Edit” button will give us the Power Query screen which gives us a lot of options to edit our existing data or even create new features in our dataset. 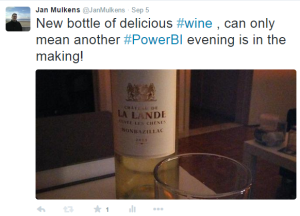 To compete with the abilities of a specialized tool like R we’ll need to use the full potential of Power BI. 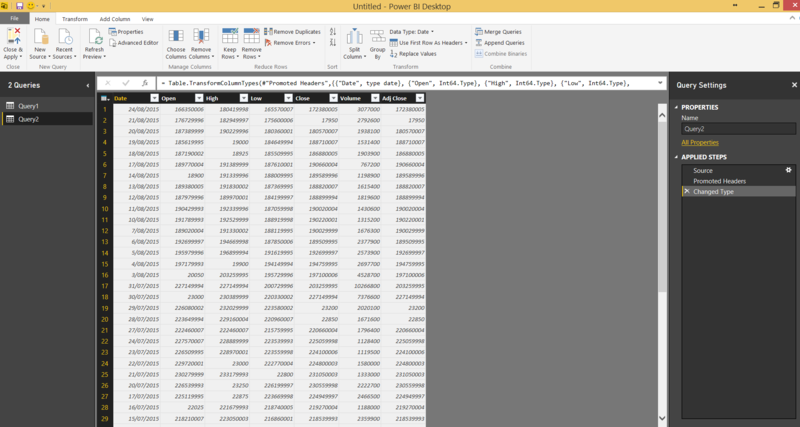 So press that “Edit” button and then import the next dataset as well using the same method. You should end up having 2 datasets loaded, seeing the below screen. As you might have noticed, the values were imported as if the stock was worth millions to billions. 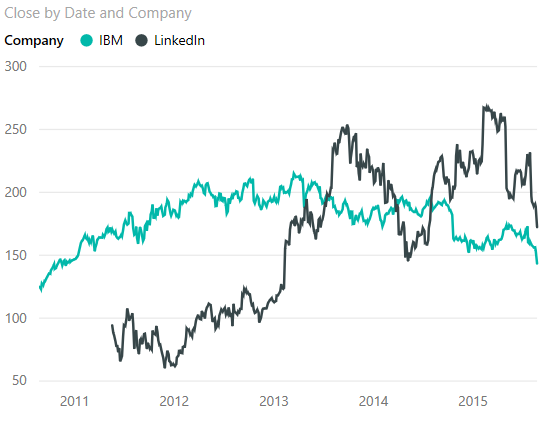 I’m sure IBM and LinkedIn will be happy to hear this. However, you might have noticed that stock is usually worth several dollars for small companies to only hundreds of dollars for the top companies. I’m thinking that the data might appear correctly for you, depending on your locale. The period vs comma decimal dilemma is something typical for Belgium. Et voila! We’re done cleaning our data. To show both datasets in one chart we need to join the data first. But to identify the joined data in one chart, we’ll need to add a column in both datasets before we join them. Adding a column is done via the aptly called menu item “Add Column”. 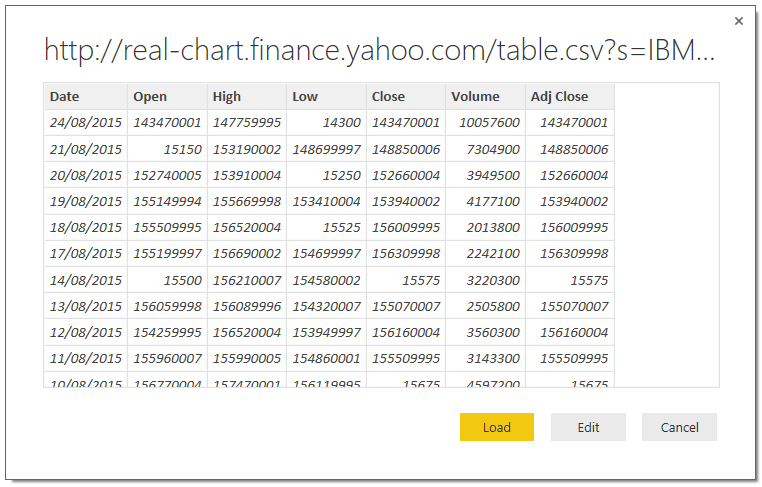 For each dataset, add a column called “Company” and mark it as having data for the specific query using a formula as seen in this screenshot. Next we’ll need to combine the 2 datasets. 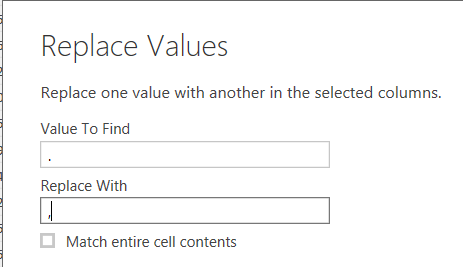 This can be done from the home menu using the “Append Queries” item. It conveniently shows you which dataset you’ve currently got selected. That way you can wisely pick the dataset that you want to append to the current one. Click the “Report” tab and let’s get to work! 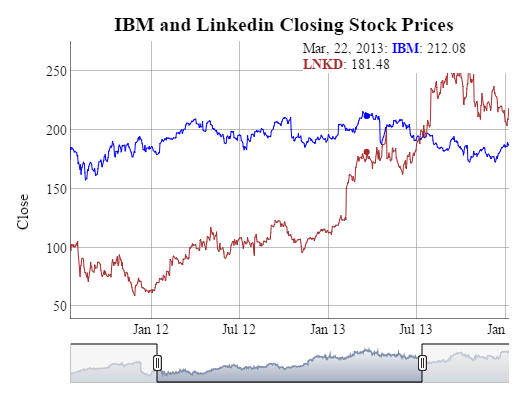 You’ll see this beautiful chart that you’ll recognize from the original article. We got our data, we got a line chart and we got our mouse over information. Now we need to create our date range selector. There are several ways to implement this. Sadly, the cool slider thingamajig that R has isn’t one of them. 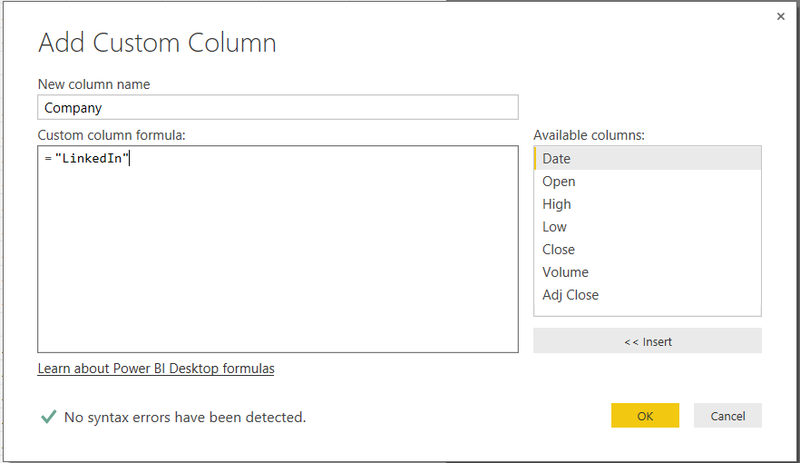 So what can we do to create a cool date range selector in Power BI? 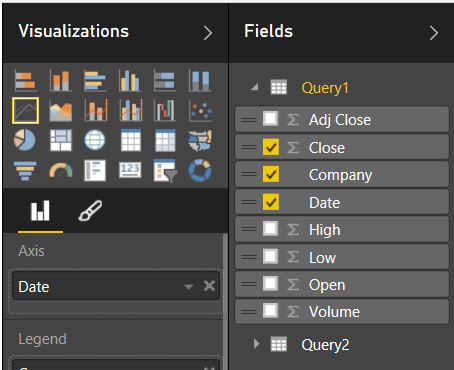 Power BI enables us to use slicers or even use a data visualization, like a treemap, as a sort of slicer. We’ll probably want to slice on year, quarter and month. Let’s add the relevant data to our dataset. For this, we need to edit our dataset, so let’s press the “Edit Query” button again. Adding these fields is a breeze, we select a date field and go to the Add Column menu. From there we see one of the most incredible options. We can add different time columns with the click of a button. 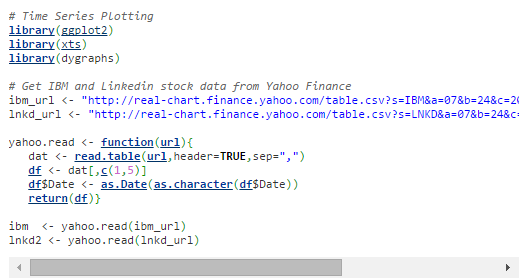 Adding custom features to your dataset can be done using DAX. DAX can be the subject for a lot of other blog posts but for an easy start check out Dustin Ryan’s blog post on some often used DAX formulas. For our little experiment we don’t need to go this far however. So feel free to explore or give your suggestions in the comments or via twitter. 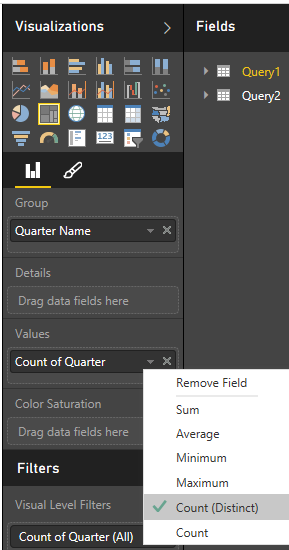 In Power BI you can filter a view, that’s one page in a report. There are several possibilities to create filters, a slicer is one of them. A slicer is a filter that is present on the report page itself. 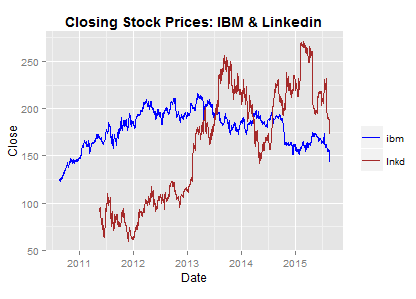 Like the one in the original R visualization. Filtering works with data that belongs to the same query or with queries that have a relationship defined between them. One of the slicers we’ll create is by using a treemap. 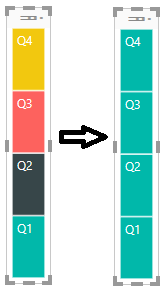 Create a treemap visualization and put the quarter name in there like in the screenshot. This gives us a quite ugly slicer with different colors. 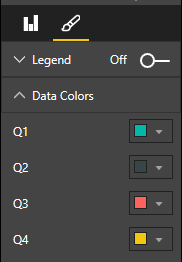 We can change these colors via the format menu. Changing these colors gives a great result that will fit with the overall look and feel of our dashboard. It will especially help us avoid making this thing look like a coloring book. 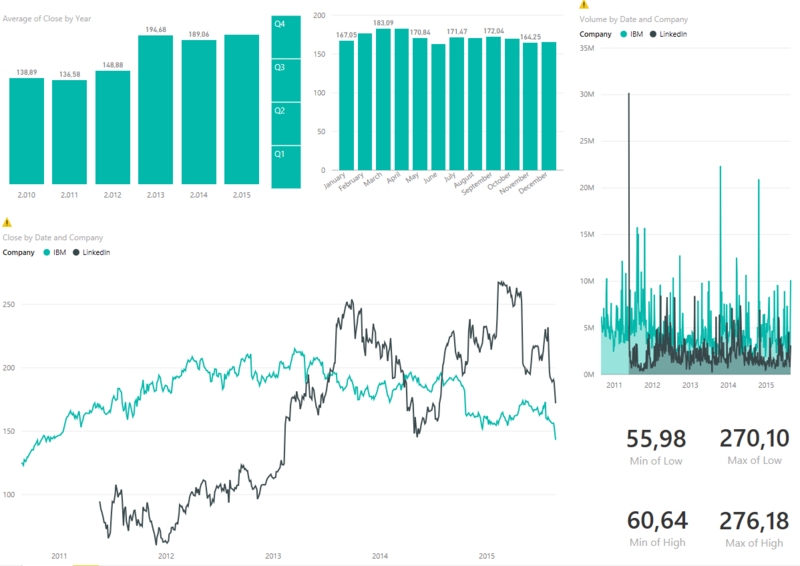 If you’ve been following the process yourself, you probably noticed how fast and easy it is to toy around in Power BI. Leave a comment if you have a question or encountered a problem. Below is the result I got. 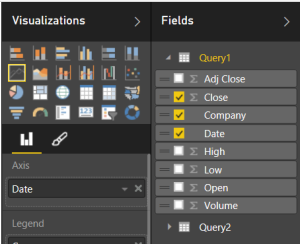 If you haven’t played around in Power BI yet, just download the free Power BI Desktop application today and get started with the Power BI Zero to Hero series. It’s a lot more user friendly than writing some lines of R magic. I’d even argue that it’s more fun! Follow me on twitter to see when I create another wine fueled Power BI post. Nice work, thank you for sharing. I wanted to know if we could take this to the next level: I’m struggling and trying to make a timeseries plot where the data is coming from two different tables. I have table A with [DateTime],[Pressure] , and the table B with [DateTime],[Measured_Variable]. The measured variable has sporadic measurements with no particular frequency. How can I plot both together, for example, to see trends and how one affects the other?